Lots of people bike for exercise, but other than the physical benefits they receive it seems that these workouts could be doing more good. 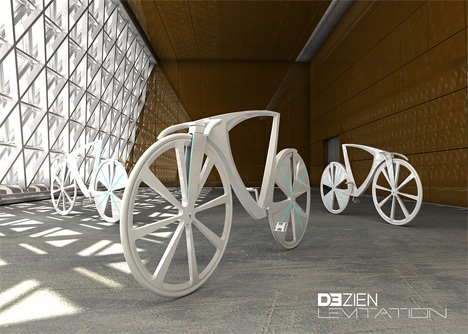 The Levitation Bike from design team DEzien is a concept that would incorporate exercise, electricity generation and a mobile hotspot. 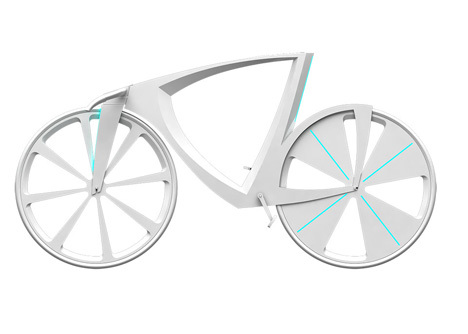 The bike is a futuristic concept that would be made from Hi-Macs, a moldable solid material that would let the bikes be rapidly and inexpensively produced. But of course, the fact that the bike levitates would be its stand-out feature. It uses magnetic levitation to keep it just above the ground as you coast along, avoiding pebbles and uneven terrain. At slower speeds, it rides along the ground just like a regular bike. 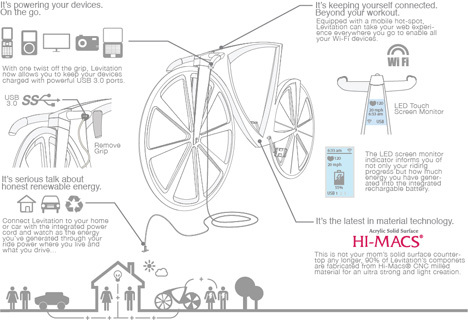 But as you pedal, you also generate energy that is stored in high-capacity batteries. You can detach the batteries later to charge your gadgets, or you can plug it right into your home’s electric system to feed power back into the grid. If you prefer to charge on the go, you can plug in your USB-charged gadgets as you’re cycling. An LED touch screen lets you keep track of your workout information and how much energy you have generated. 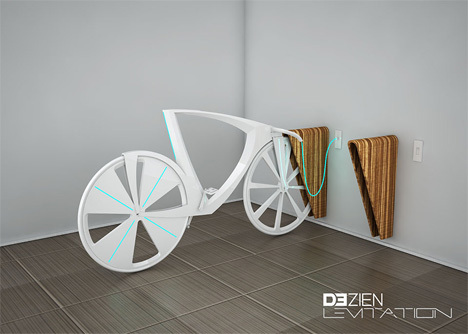 Levitation creates its own mobile wi-fi hotspot as you pedal, letting you stay connected as you’re on the go. Of course, Levitation is only a concept (and, to be honest, a kind of uncomfortable-looking one at that) but its purpose is to bet people thinking about alternative means of energy generation. With its gorgeous looks and unique concept, it seems to do that quite well.